Only a few days left! The Back to School Clothing Sale at Rainbow Ag ends on Tuesday, August 23. New Fall fashions are arriving daily for every student in your family. Get $10.00 off of $50.00 clothing purchase, $20.00 off of $100.00 purchase, $30.00 off of $150.00 purchase or $40.00 off of $200.00 purchase. Head back to the classroom in super style with Wrangler, Rock 47, Carhartt, Cowgirl Tuff and more! Put your best foot forward in boots from Justin, Ariat, and Corral. Hurry in to save on all clothing (excludes sale items) – sale ends August 23rd. In September, as the kids head back to school, did you consider that your dog may have to adjust to the changes in the family routine just like everyone else? During the summer, your children and the family dog can develop a strong bond. Now there’s suddenly an empty and quiet house. 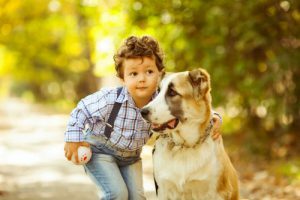 This change in routine can cause your dog to suffer from separation anxiety or depression—to actually miss your kids—and even follow them to school. Here are some tips for dealing with separation anxiety in your dog when family members’ schedule changes – read article. 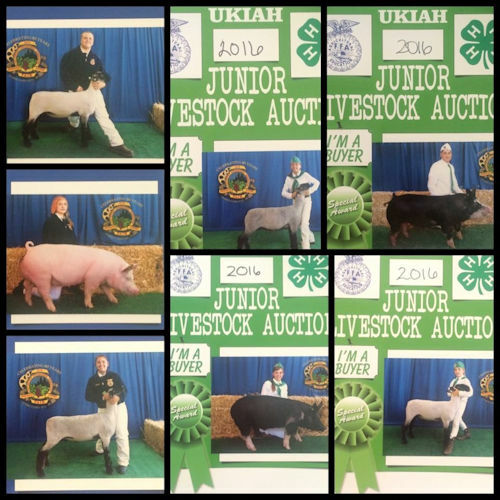 Throughout the year, Rainbow Ag is involved with youth in 4H and FFA – offering seminars and training on raising and showing project animals from bunnies to beef cattle, providing accounts to young competitors and finally, heading off to the fairs as auction buyers. Rainbow was at the Redwood Empire Fair, where they purchased 7 projects to support youth in Agriculture. Watch for Rainbow representatives at the Lake County Fair and the Mendocino County Fair and Apple Show in the near future, and congratulations to all the youth who participated in the fair shows! Fire season is certainly upon us, as last week’s devastating Clayton Fire sadly proved. Once again, Middletown Animal Hospital became the base for animal rescues and treatment for pets and livestock injured or forced to evacuate from the fire. With help from Orphan Dog, Jameson Animal Rescue Ranch and Petaluma Animal Services, along with UC Davis School of Veterinary Medicine, treatment, transportation and refugee care was organized and carried out. Monetary donations are preferred, as there is limited space to store donated items. To donate, contact one of the three organizations named above. Middletown Animal Hospital also reminds us that with the influx of animal refugees from the fire, Clearlake Animal Control is running out of space at the shelter. 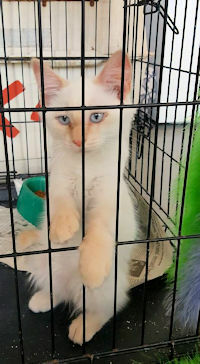 There are many adoptable kittens and cats at the shelters and now would be a great time to add a furry friend to your family! Please consider adopting and helping make room at the shelter. For information, contact Clearlake Animal Control at 707-994-8251 ext 103. Rainbow Ag is so grateful to our amazing vendors! Central Garden & Pet donated pallets full of pet food and supplies to the Clayton Fire effort. The donation was distributed by Orphan Dog to Lake County Animal Control, Clearlake Animal Control and the Moose Lodge. Just for our subscribers – TWO coupons this month! For your pets, Buy One, Get One 50% Off any Greenie product. Just print out the coupon! For you, save on Fall Clothing until September 20th with the Fall Clothing Coupon! Two ways to save from Rainbow Ag. Trivia, Trivia, Trivia … Answer this month’s question to be entered to win a $15.00 Rainbow Gift Card! 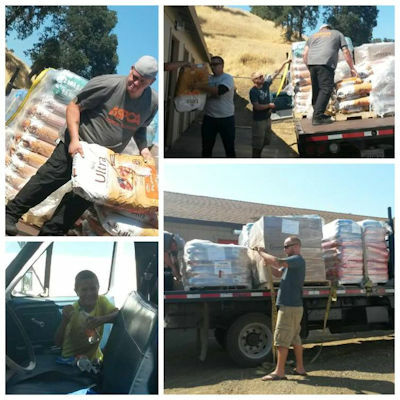 The question is: Which Rainbow vendor donated pallets of pet food and supplies? Enter Here! Last month’s answer was “FIX Lake County provides free Spay and Neuter and the winner is Kristina Tenerowicz. This entry was posted on Friday, August 19th, 2016 at 3:06 pm	and is filed under News, Rainbow Wags Newsletter. You can follow any responses to this entry through the RSS 2.0 feed. Both comments and pings are currently closed.